Hyatt Place Columbus/Dublin is located 15 minutes northwest of downtown, just off I-270 at Exit 15, Tuttle Crossing Boulevard. The Dublin area is known for a multitude of national and local companies, many sporting events like those at the Chiller, Avery Park, Darree Park and Emerald Park. The Memorial Golf Tournament is another great sporting event with international flare. Who will have the luck of the Irish this year? Hyatt Place is a new kind of hotel that puts style and innovation within everyone’s reach. Our guests will enjoy a spacious guestroom with a 42-inch flat-panel HDTV, our signature Hyatt Grand Bed, a plush Cozy Corner sofa-sleeper that is separated from the sleeping area, and complimentary high-speed Wi-Fi Internet access throughout the hotel. Guests at Hyatt Place can enjoy the complimentary morning a.m. Kitchen Skillet hot breakfast daily, and Starbucks specialty coffees. Hyatt Place also offers a variety of freshly prepared, cafe quality items, including made-to-order appetizers sandwiches, soups, salads and pizza, which guests can order 24 hours a day, seven days a week. Our Gallery is a warm and open area that features our Coffee to Cocktails and 24/7 Gallery Market. Or just relax in our outdoor pool. Hyatt Place Columbus/Dublin is a different kind of hotel designed around you. Let us help you bring people together for meetings and events in new and innovative ways. The hotel is located within walking distance to several restaurants, The Mall at Tuttle Crossing and movie theaters. 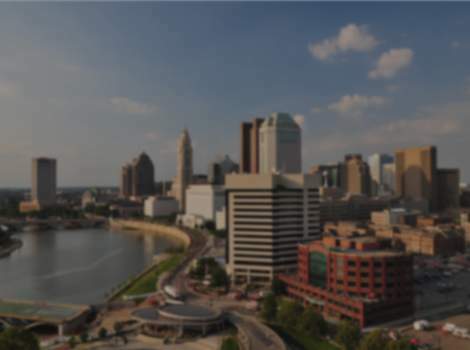 Hyatt Place Columbus/Dublin also offers complimentary shuttle service within a 5-mile radius of the hotel. Discover for yourself how perfectly Hyatt Place fits your lifestyle.Small dogs are welcome with a $75 service fee. One dog per room please.